Sorry for the last minute notice here but you can download the podcast also. Barry Zwicker will be on TV Ontario with Steve Paikin. Steve is an intelligent, objective and reasonable host. Let's hope he gives our guy a fair shake. It looks like he will be going up against psychologists, not physicists or scientist. Barrie Zwicker was certainly the centre of attention on Friday night. Thunder Bay residents packed a lecture hall at Lakehead University‘s Advanced Technology & Academic Centre to listen to the 9/11 theorist and author. Zwicker told the audience he believed that the attacks on the World Trade Center and Pentagon were orchestrated by the George W. Bush administration. “Nine-eleven was an inside job, planned and executed at the level of the White House,” he told the audience Friday. 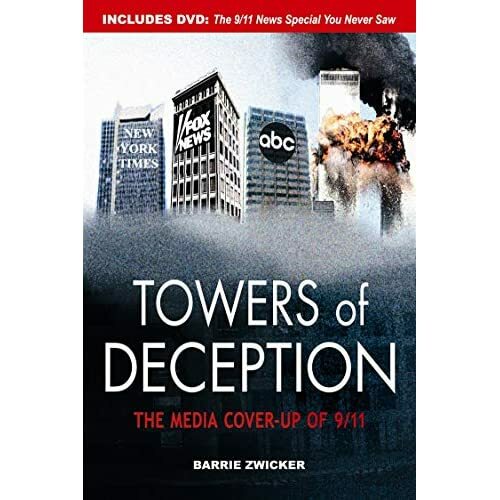 This is a great new talk by Barry Zwicker on 9/11, momentum, and the media. Puts in perspective how wide-spread 9/11 truth is, why we should not be afraid to talk about it, and how high the stakes are. Zwicker helps light a fire under our 9/11 activism. A must-see and - at less than 10 minutes long - there's no excuse not to watch it. we will rehost it soon.